To coincide with the official release of the Kyrie 5 yesterday, Nike Basketball released a teary video as part of their #JustDoIt campaign. The video shows Kyrie Irving playing one-on-one in his dad at the Garden — the very arena that his dad tied out for the Celtics in decades earlier. 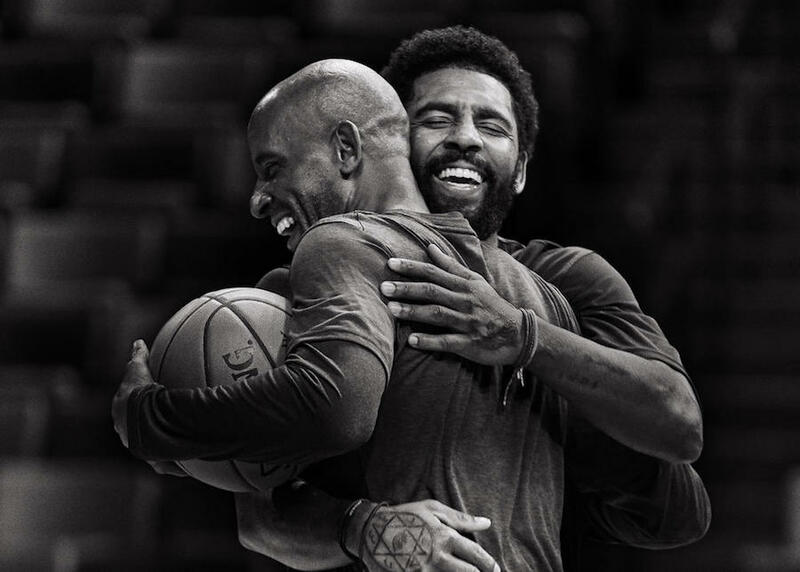 That was a dream his father was forced to give up on after the death of his wife, Kyrie’s Mother, Elizabeth Irving, leaving behind his NBA dreams to raise his three children. Watch and listen to the video below, where Kyrie provides a beautiful monologue about his dad. The “Black Magic” Kyrie 5 is currently still available on Nike.com.